There aren’t many things cooler than a downtown Hartford address. Downtown living puts you in the heart of the action. Our multi-million-dollar interior and exterior restorations are creating the Hartford region's most unique mix of residential, retail and commercial space—a truly seamless live/work/play community. Colt Gateway offers a live work space that links residents to downtown's Adriaen's Landing and the Connecticut River, offering residents a variety of activities, events and attractions. Sitting at the crossroad of two major interstate highways, you'll be at the doorstep of endless opportunities. There are many activities and locations in downtown Hartford that will surely pique your interest. Dining, dancing and theater are all within walking distance of this dynamic loft-style living space. Colt Gateway offers studio, one- and two-bedroom luxury suite apartments, as well as the capital city's premier loft-style living spaces. 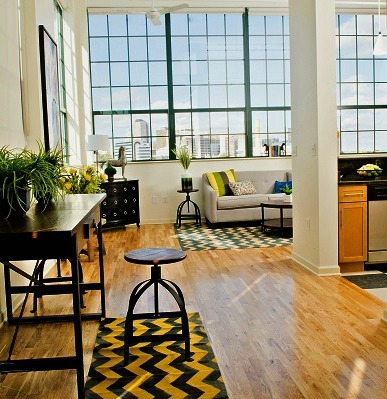 This 17-acre live/work campus in Downtown Hartford offers floor plans to suit any lifestyle. With architectural accents like wall-to-wall hardwood floors and beautiful over-sized windows, you can enjoy great views of the city, Colt Park, or the Connecticut River. There are many wonderful reasons to living at Colt Gateway, as our downtown apartments are at the center of a variety of great places. For those interested in living in the downtown Hartford area, there are quality colleges and universities. The University of Connecticut has a Hartford campus, as well as Trinity College. Then there is the University of Hartford, which has a sprawling campus that includes a few different buildings and institutions. Hartford is a great place for young minds to cultivate. And if you're moving to this location and have younger kids, they will be privy to attending Hartford Public High School, which is the second oldest high school in America. This school is located in the Asylum Hill neighborhood of Hartford. Overall, the city has a high school graduation rate of 71%, according to a 2013 report from the state Department of Education. No matter the age of your child, they will be offered quality educational services that will help shape them for the future. The Connecticut Department of Transportation operates the Connecticut Transit, or CTransit. The Hartford division operates local and commuter bus service with the city and parts of the surrounding area.Hartford also has a Downtown Area Shuttle (DASH) bus route that is free for downtown patrons. There is also a bicycle route that runs right through the center of Hartford. The route is actually a small part of the East Coast Greenway (ECG) and much of the portion of the Hartford route is off-road, but some sections are on-road. There are many designated bicycle lanes throughout the city and there is a bike share program that allows riders to find a GPS-tracked bike, To unlock it, one must pay $1 for every half-hour of riding time. This program began in April of 2018. Also, all buses are equipped with a bike rack to inhibit this sort of transportation. 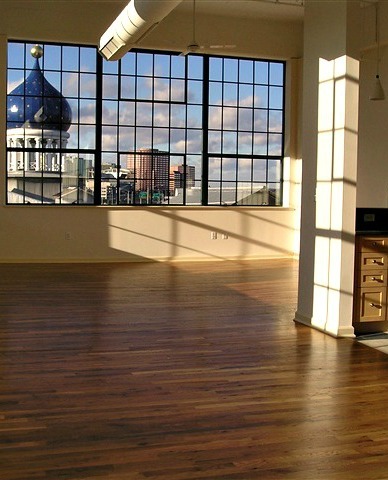 At Colt Gateway, we specialize in renting out luxury apartments in Hartford CT. These apartments are located right in the downtown area of Hartford, Connecticut. If you are interested in renting with us and living in one of our apartments, please contact us today with any questions you may have about them. The number to call is (860) 522-5000. If you are looking to move a business and work at Colt Gateway? We can help with that too. Our renovated commercial space is a perfect destination. Our convenient location makes Colt Gateway a great place to live and/or work! Get in touch with us and talk about pricing today.